The Information Commissioner (ICO) has imposed a fine of £120,000 on the University of Greenwich for a data breach that left the personal details of thousands of students exposed online. The breach was discovered back in February 2016, but actually dates back to 2004 and concerns a microsite that was made for a training conference. In the incident that the University attributed to “unauthorised access to some data on the university's systems”, the personal details of around 96,000 students were accidentally uploaded to the university’s website, as well as minutes from the university's Faculty Research Degrees Committee. The microsite with the student details left on was not secured or closed down. What was most shocking and distressing to many of those affected by the breach was the very personal nature of some of the data. For example, as well as the names, addresses, dates of birth, mobile phone numbers and even signatures of students, data concerning medical and other personal issues was also posted. Reports at the time indicated that in some cases, information concerning the mental health and other medical problems of some students were mentioned to explain why students had fallen behind with their work. Also, it was reported that comments about the students' progress, and even emails between staff and students were revealed. It has been reported that the main reason that the breach was not noticed earlier is that the training microsite was made by one of the University’s departments without the knowledge of the University, which is the data controller. 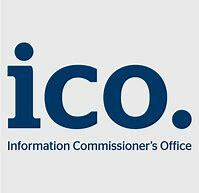 Bearing in mind the seriousness and nature of the breach, and the number of people affected, the ICO have imposed a fine of £120,000 or £96,000 for early payment. It is understood that the University will not appeal against the decision. The ICO saw no need for enforcement action in this case because the University of Greenwich is reported to have made a number of changes to upgrade security. These changes include investing in new security architecture, tools and technologies, hiring new dedicated internal security experts, conducting vulnerability testing across the entire organisation every day, making information security training mandatory for all staff; reforming the system of internal IT governance, and developing a rapid incident response to tackle threats as they arise and learn from incidents. Even though this incident dates back many years to a time when online security was given less priority by many businesses and organisations, it is an illustration of how things can easily slip through the net with regards to security, particularly in larger organisations and / or where full checks / audits are not carried out and where there is clear no clear line of responsibility for data matters e.g. data controllers and DPOs. This story is particularly poignant because of the introduction of GDPR on Friday, and should be another reminder to companies that as well as the distress caused to victims of breaches, the ICO will take breaches seriously and can impose stiff penalties. In this case, the University (which had also suffered another high profile data breach after this one) took the opportunity to seriously upgrade its security, and this will no doubt go a long way to making it GDPR compliant, as all businesses now need to be in order to retain the trust of customers, maintain supplier relationships, protect the business reputation, avoid fines, and deter and protect against attacks by cyber-criminals.